cells for the case of stationary vortex flow. 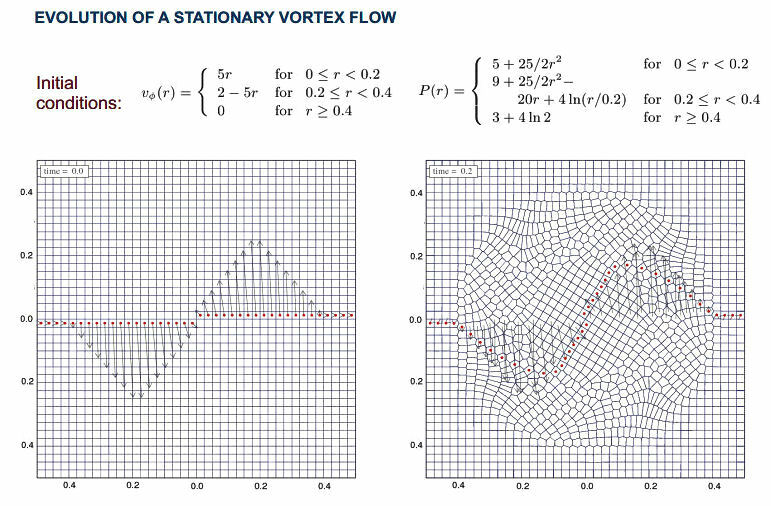 It shows that the mesh is changing shape and moving in the direction of the velocity field. 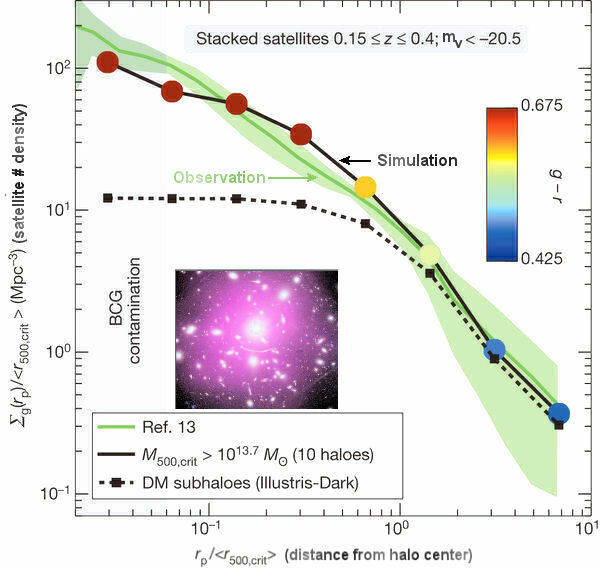 The cosmic model is called Illustris (see logo in Figure 03-05c). 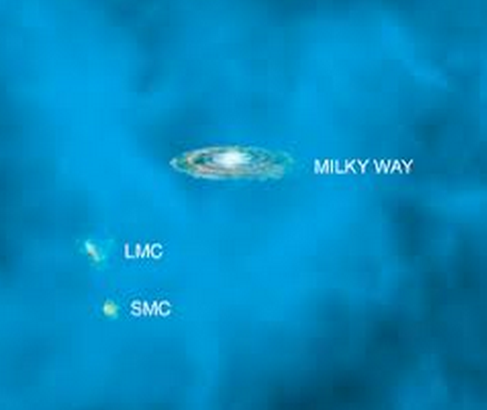 It traces the evolution of both visible and dark matter starting just 12 million years after the Big Bang. 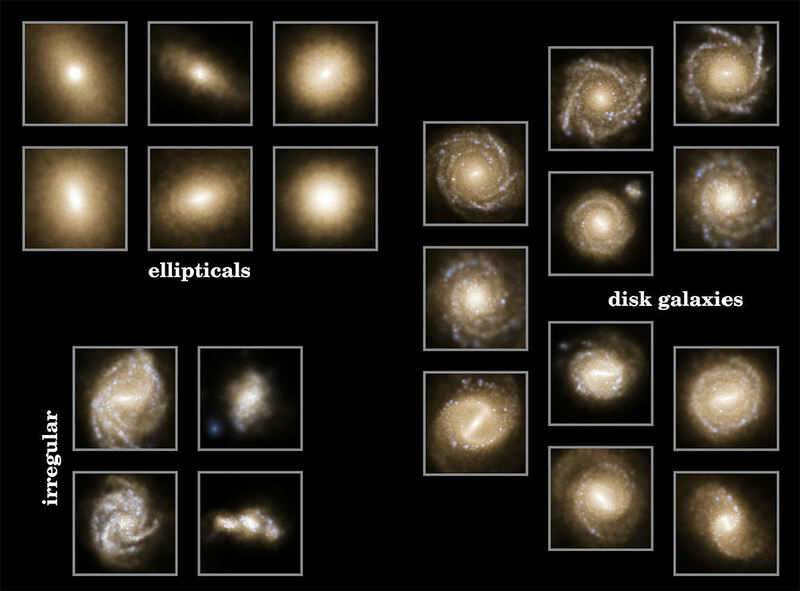 It ends up at the present epoch showing the large structure in clusters of galaxies as well as smaller details in individual galaxies. 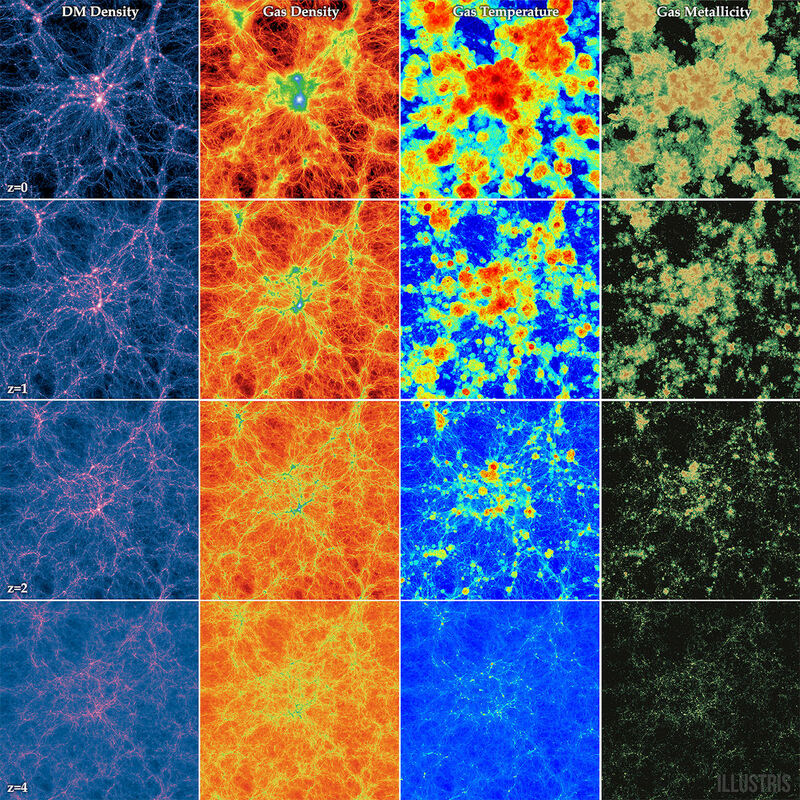 The simulation contains 12 billion cells in a cube of (106.5 Mpc)3 across the universe. 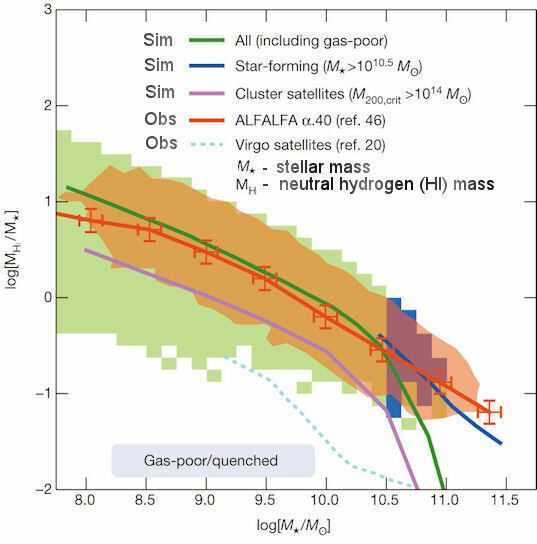 The smallest size scale over which the hydrodynamics is resolved, is 48 pc (about the distance from the Sun to its nearer neighbour stars). It took about 16 million CPU hours on stat-of-the-art desktop computers to complete the simulation. 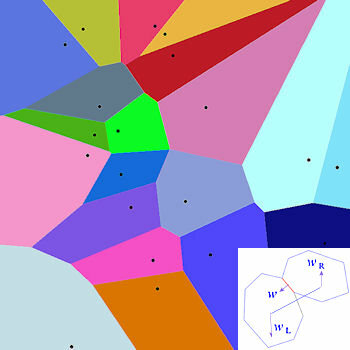 Some of the results are shown pictorially in Figure 03-05d. 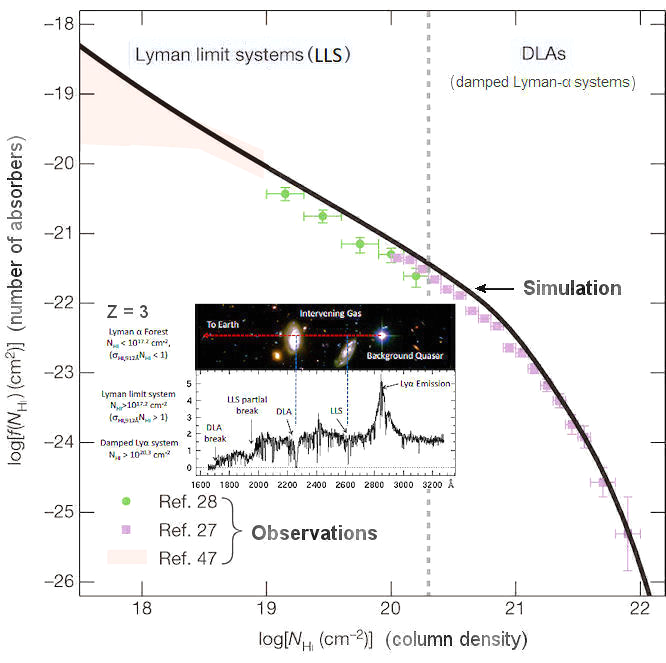 Many of the simulated features are summarized in Table 03-01. 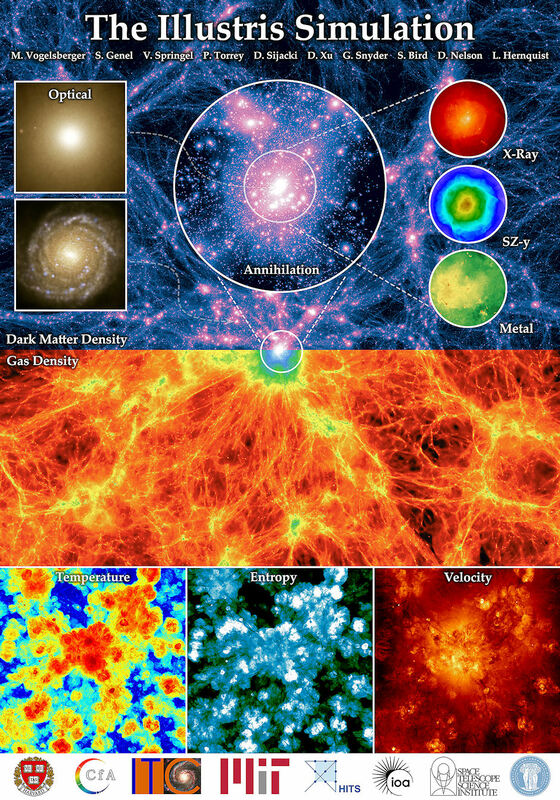 The work is published in the 8 May 2014 issue of "Nature" and presented in videos under "Moving Mesh Cosmology". 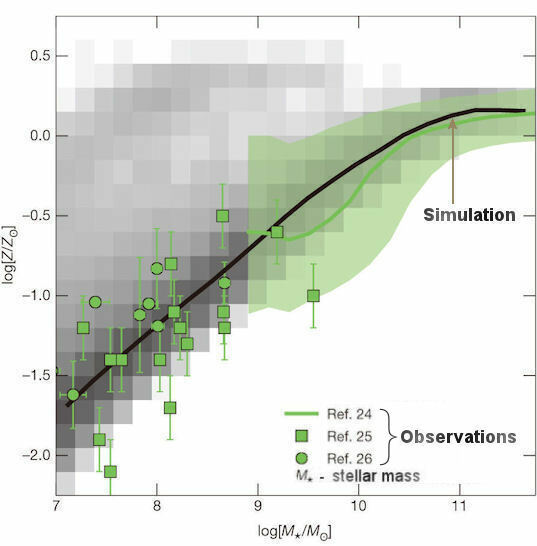 Initial Conditions : at z = 127 in a periodic box with a side length of about 106.5 Mpc and gas temperature 245 K.
The large scale features in the table are the result of processes within size scale of a few tens pc from gas cooling; stellar evolution; supernova explosion; chemical elements creation; AGN feedback; supermassive black holes formation and accretion. 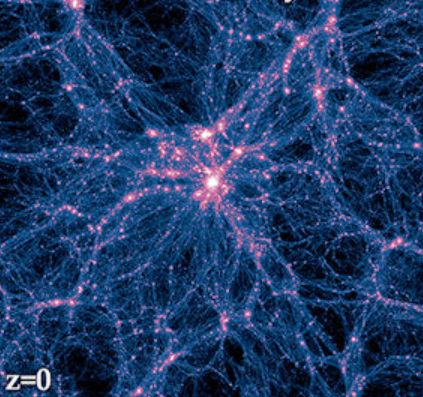 The simulation demonstrates that the current knowledge on the large cosmic structures is essentially correct. It offers a tool to cross examine observation and theory in future development.